Noah has known he was destined for an art career ever since he was a kid. Growing up in a log cabin in the small town of Elwood, IN, Noah had a lot of time on his hands. So he started drawing. His favorite subject? Portraits of 90s basketball players. And they were so impressive, his closest friend has kept a few to this day. From Elwood, Noah headed to Ball State University, earning a BFA in Graphic Design. But what really sets Noah apart isn’t just his creative talent, but his strategic approach, curiosity, and vision. I’m constantly learning and taking notes on how someone else solves a problem…or how they tried to solve a problem. Some people like to take gadgets apart to see how they work. I like to do the same with ad campaigns. Before joining our team, Noah had the opportunity to direct the Indy 500 campaign for the 100th Running in 2016. The campaign was a success and he got to eat Indian food with famous IndyCar drivers. It was a win-win all around. 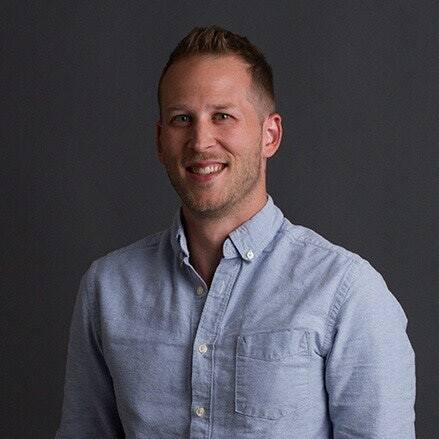 When Noah’s not helping guide campaigns for clients as a Senior Art Director, you’ll find him jumping at any chance to be by a lake, jamming the latest Metallica riff, or making up songs on the fly for his kids.